The Grey Loerie bird (Corythaixoides concolor) is a South African bird which ranges from the tropical west and Central Africa. It is a common resident to Botswana, Zimbabwe, Namibia, northern Botswana, western Mozambique and northern South Africa. 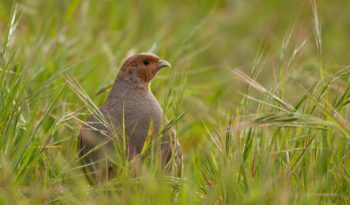 The Grey Loerie bird is a medium sized bird that is also known as the ‘Go Away Bird’ or in Afrikaans, ‘kwêvoël’. 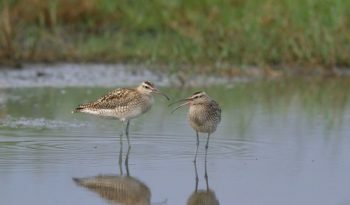 The population count of these remarkable birds is not known, however, they are frequently observed in pairs or in small groups of 3 – 20 individuals. Use the information below to find out more about the Grey Lourie bird’s characteristics, habitat, diet, behaviour and reproduction. The Grey Lourie bird measures 19 – 20 inches (47.5 – 50 centimetres) from its beak to the tip of its tail and weighs around 270 grams. The Grey Lourie is uniform grey in colour with a strikingly pink gape. It has a long tail which measures around the same length as its body. 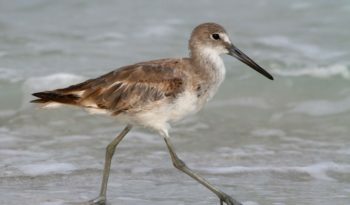 On top of its head are tall crest feathers which are raised and lowered when the bird is alarmed. The Grey Lourie’s bill is quite short and black in colour. It has dark coloured eyes and short grey legs. 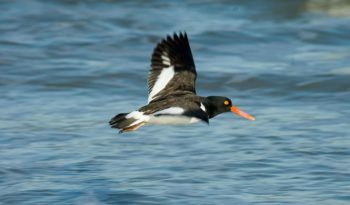 These birds are quick and agile which enables them to clamber around the trees to forage for food. 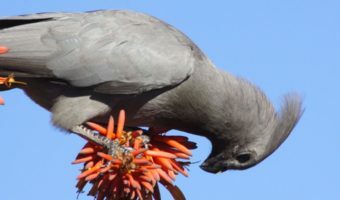 The Grey Lourie’s preferred habitats are bushveld, savannas, broad leaf forests, open acacia woodlands, often close to water and it is also known to populate farms, parks and suburban gardens. The Grey Lourie perches in the top of trees where it gives out its well known ‘call’ when disturbed. Nests are flimsy and are made from dry twigs, they are unlined and mainly built in the canopy of thorn trees. Grey Louries are generally quiet when in their nesting area. The Grey Lourie mainly feeds up on fruit including wild figs and berries, seedpods and large snails. 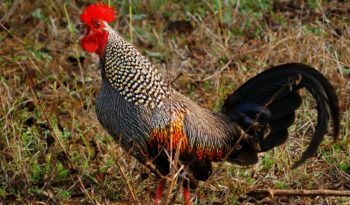 It will also forage for flowers, leaves, termites and other insects. The Grey Lourie is dependant on water and daily drinks from water sources. The Grey Lourie has a strange behaviour which gives it the nickname of the ‘Go Away bird’. 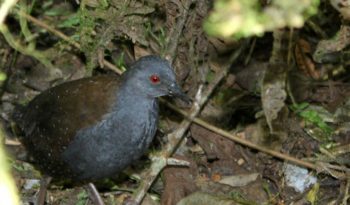 This bird is a very vocal bird when alarmed, who emits a long nasal sounding call which sounds like ‘gowaaaay’ while jerking its tail. Because of this ‘give away call’, hunters who try to get close to other animals to get a catch, are frequently frustrated as the ‘call’ warns the animals off and the cover of the hunter is revealed. Grey Louries are also helpful to prey animals who are alerted when a predator enters their territory. The Grey Lourie has a characteristic flight pattern in which they fly fairy low, mostly below tree-top height with heavy wing beats interspersed with gliding. Grey Louries become sexually mature at 1 to 2 years old and breed throughout the year. A clutch is laid consisting of 2 – 3 eggs. The female incubates the eggs for around 27 days. Chicks become fledglings at around 4 weeks and are fed by both parents. The life span of the Grey Lourie is around 20 years. The Grey Lourie is not listed as an endangered species.